If you prefer your fence to have more of a traditional touch to it, you may be interested in a picket fence for your home or garden. At Fencemakers, we’ve come up with a fence that captures the timeless look of a picket fence, yet still has the durability and freedom from maintenance that our more modern offerings provide. A powder-coated finish ensures that your Fencemakers aluminium picket fence won’t need to be repainted and, unlike wooden variants, our aluminium picket fencing will last the test of time. 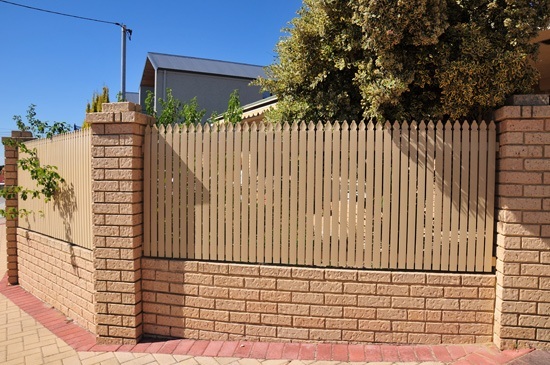 Decorative tops can be fixed into our vertical slat fencing, making the perfect picket fence that never warps, rots or needs repainting. There is no end to the wonderful choices this 65 x 16 aluminium slat offers. 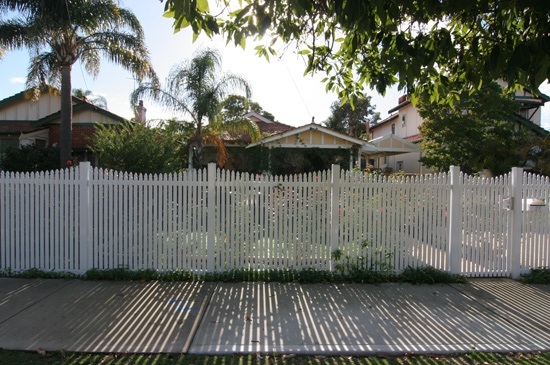 See our photo gallery and brochure below to further your understanding about how a picket fence can make your home stand out even more. Whatever the purpose may be, give your home and garden that extra touch of class with a picket fence from Fencemakers! Fencemakers’ aluminium slat fencing is another great innovation that adapts perfectly to either horizontal or vertical installation.